Is Your Office Putting Off Prospective Employees? When it comes to attracting new talent to the team, many employers concentrate almost exclusively on salaries, benefits and the role itself. 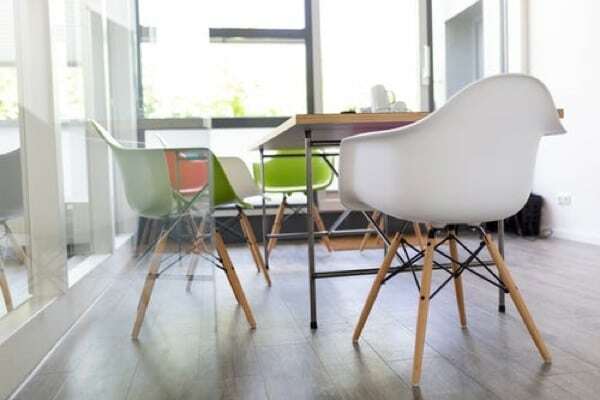 Of course, these undoubtedly play a huge part in the decision of accepting or declining a job offer – but the cleanliness of the office space may play a greater role than previously thought. That’s the findings of a recent survey conducted by furniture company Furniture 123. According to the responses of 1,000 office workers surveyed across the UK, one in three of us would reject a job if the office was in a disorganised or dirty state. That could be a significant proportion of the talent pool your company is missing out on, all because of such an easily solvable problem. 32% of respondents stated that dirty carpets, disorganised desktops and filthy toilets would be a deal-breaker for them when it came to considering a job offer. This is just one more to add to the mounting list of reasons why it makes sense to hire a professional cleaning company to keep your workplace spick and span on a regular basis. Not only will you make a good impression on those visiting the premises, you’ll also improve existing employee morale and reduce turnover, making it less likely you’ll need to recruit those new faces in the first place. And that’s not to mention the health and safety obligations that you’re required to comply with regarding the cleanliness of your office space! Taking all of those factors into account, it’s simple common sense to give your workplace the TLC it deserves. While it might be tempting to cut corners and keep cleaning duties in-house, the money spent on a team of professionals will repay itself several times over in the positive benefits their work has on yours. • Unpleasant office environment. When there’s a bad atmosphere in the office, it makes coming into work a dreaded chore. 53% of respondents said it would rule them out. • Antiquated décor. A company’s office is the visual projection of its ethos – and one stuck in the past is unlikely to go far in the future. 41% of respondents said it would put them off. • Lack of natural light. Liking all living things, we crave natural light, so a basement office or one with no windows not only inhibits productivity and damages morale, it also deters 38% of new starts. • Old furniture. Almost a third of respondents (32%) said that outdated furniture, as well as the décor, would be enough for them to knock back a job offer. There you have it! Avoid these pitfalls and you can instantly make your company more attractive to prospective employees, allowing you to attract the top talent and excel in your chosen business niche. Get the ball rolling by contacting Regional Services and tackling office cleanliness head-on. We’re waiting to hear from you.